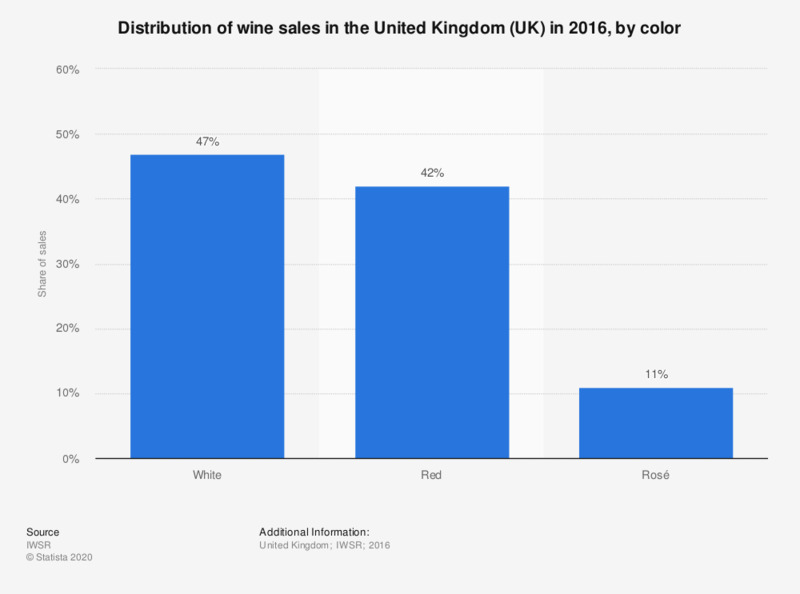 This statistic shows the distribution of sales volumes of wine in the United Kingdom (UK) in 2016, by color of wine (red, white and rosé). White wine had a marginally higher share of sales volume in 2016, at 47 percent. Rosé was the least common wine color sold that year, with a 11 percent share of sales. Based on volume of sales. What kind of wine do you usually drink? What kind of wine is your overall favorite?